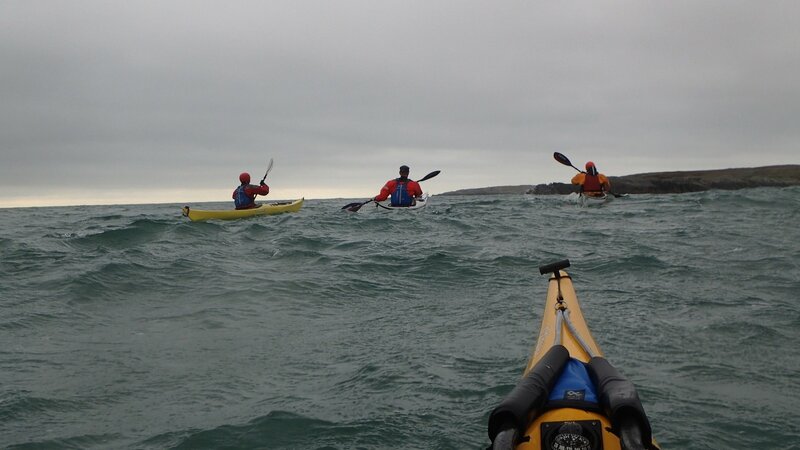 As there were a few of us we split in to two groups initially. 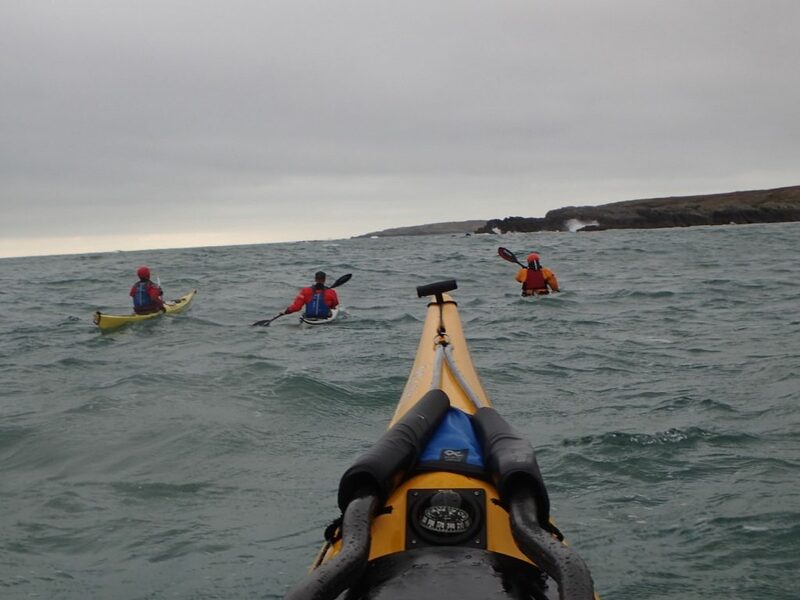 Then following a little exploratory trip out from the shelter of Borthwen, we became three groups. 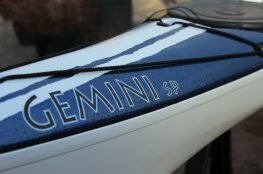 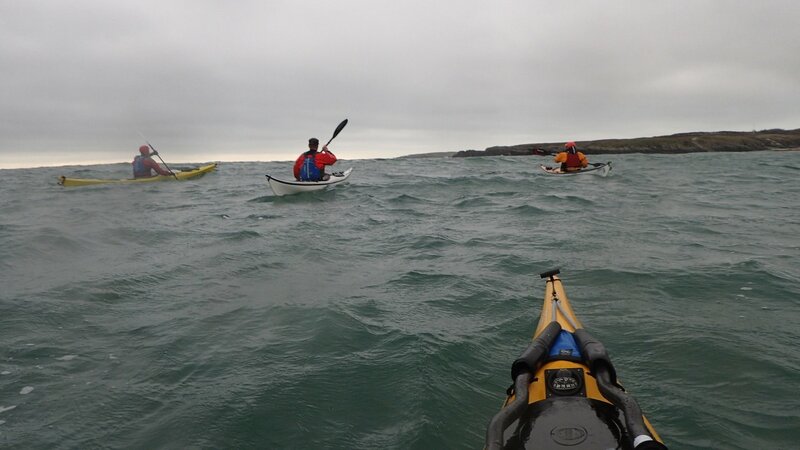 I paddled with Andy, Kris, Trevor. 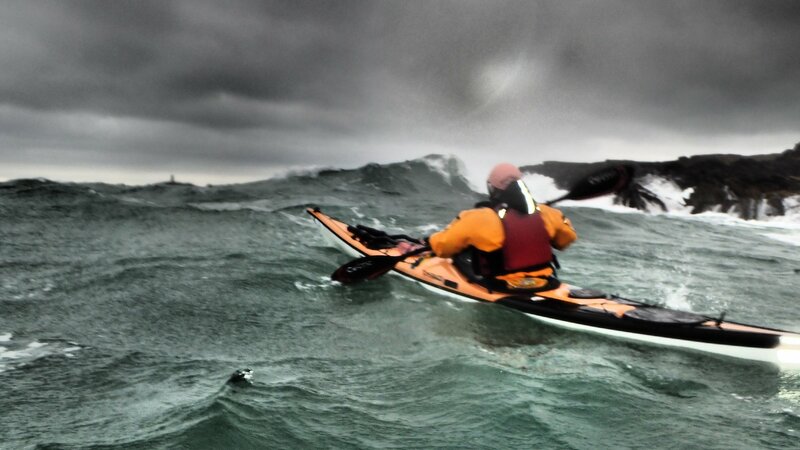 The wind was blowing a good F5/F6 and there was some big swell coming in. 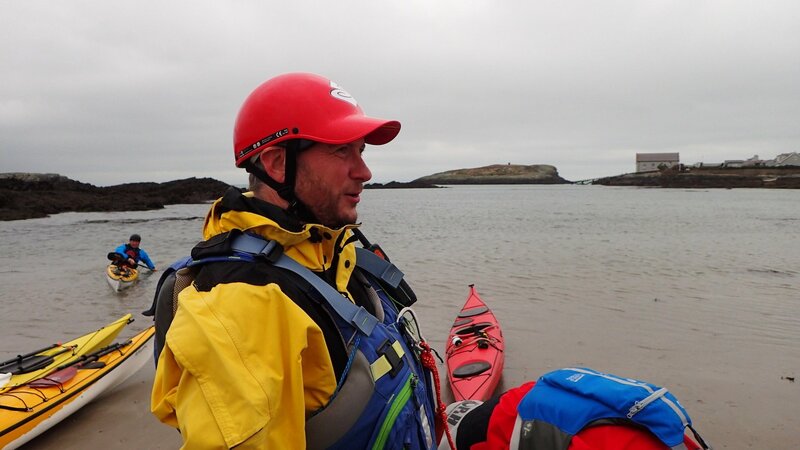 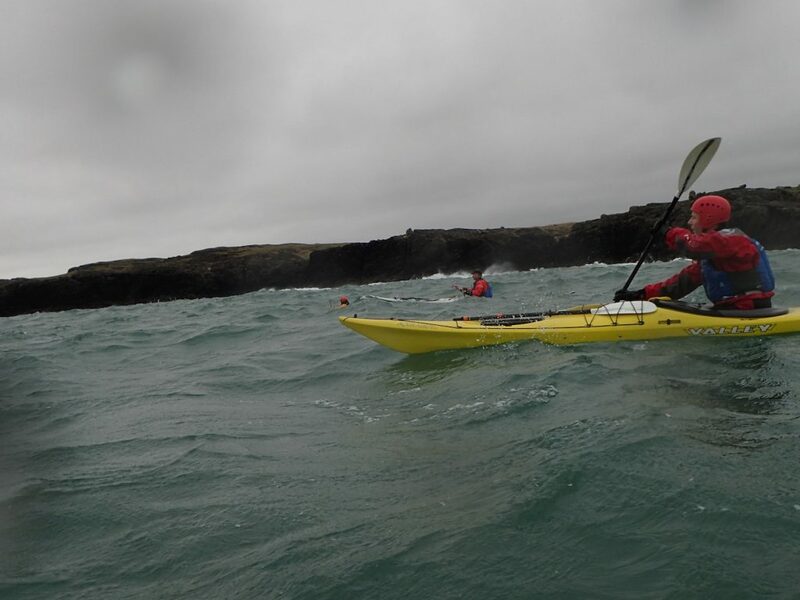 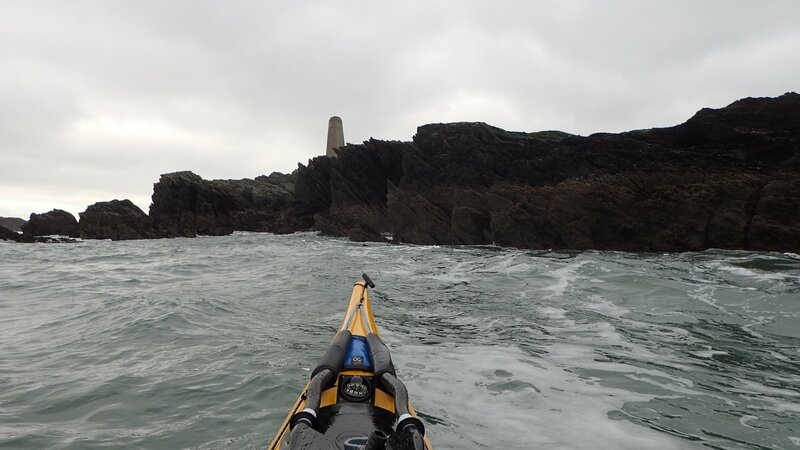 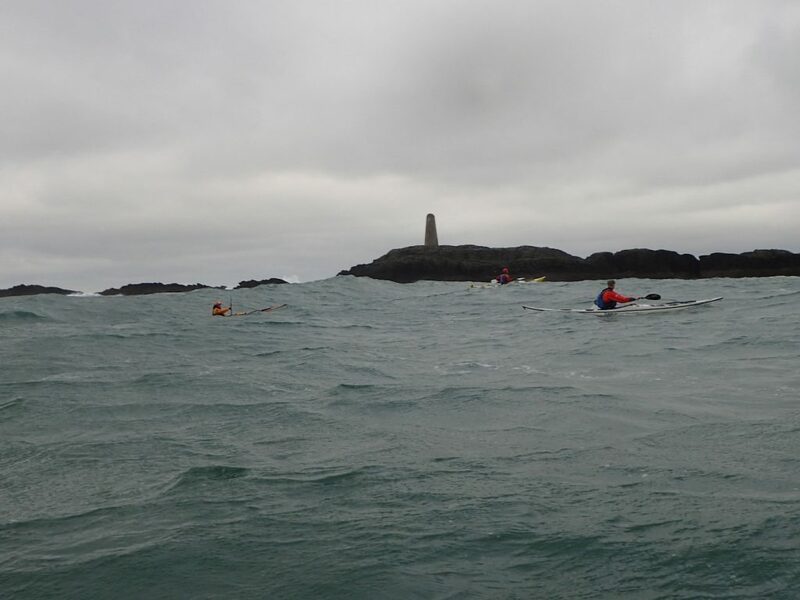 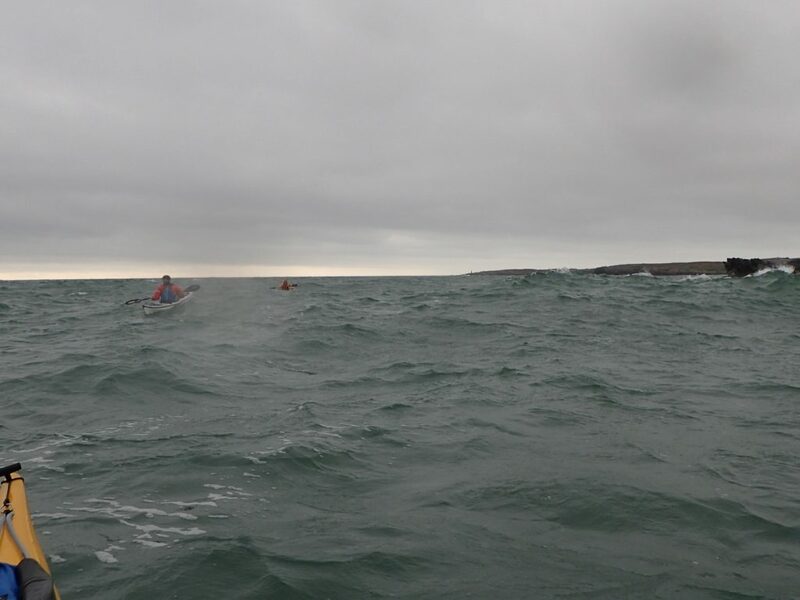 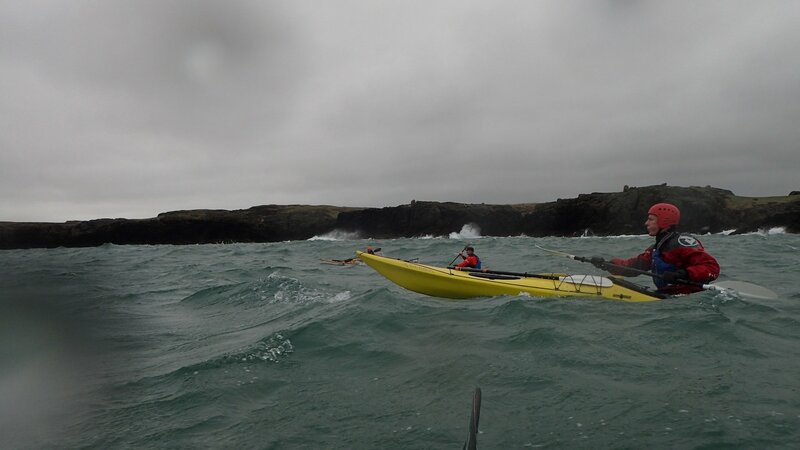 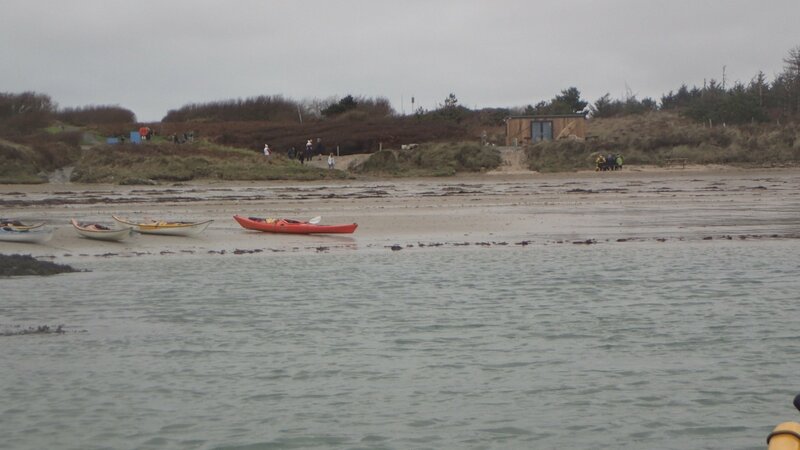 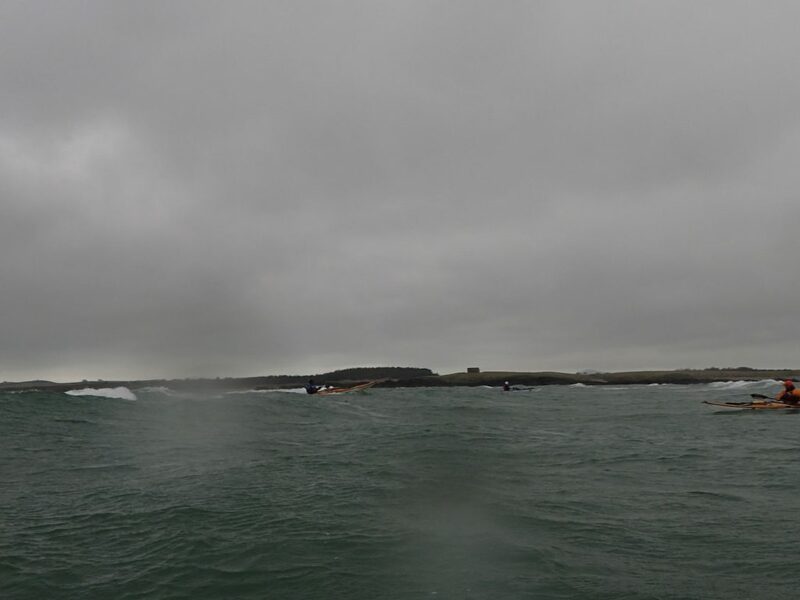 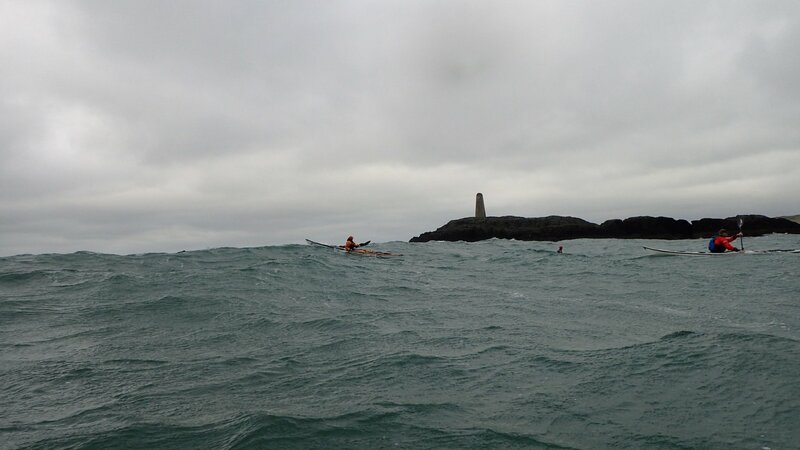 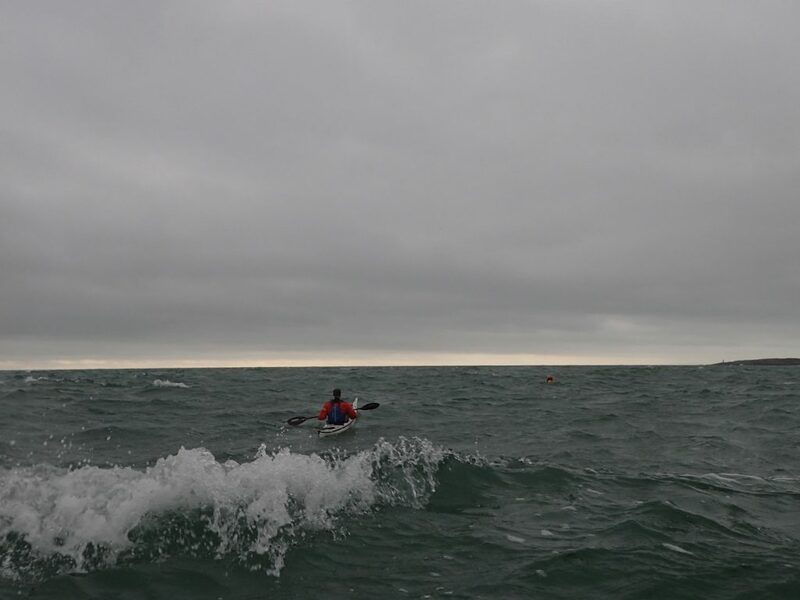 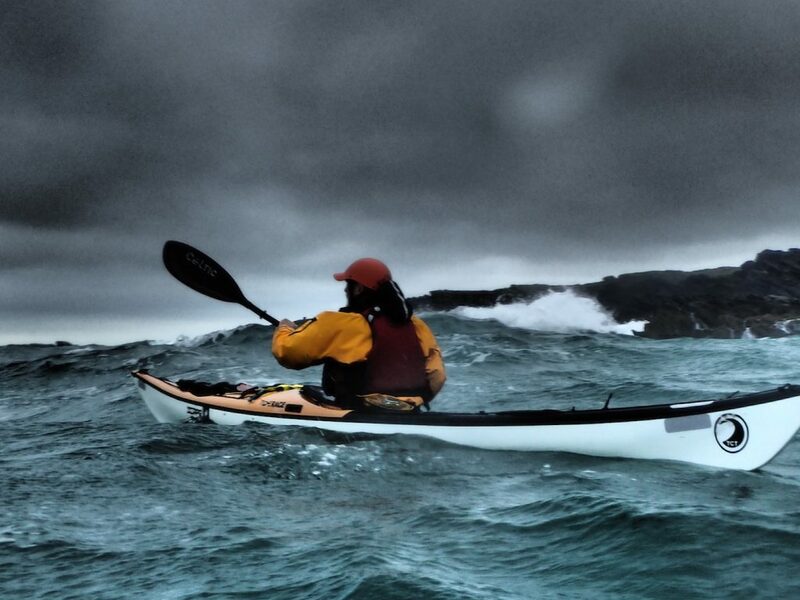 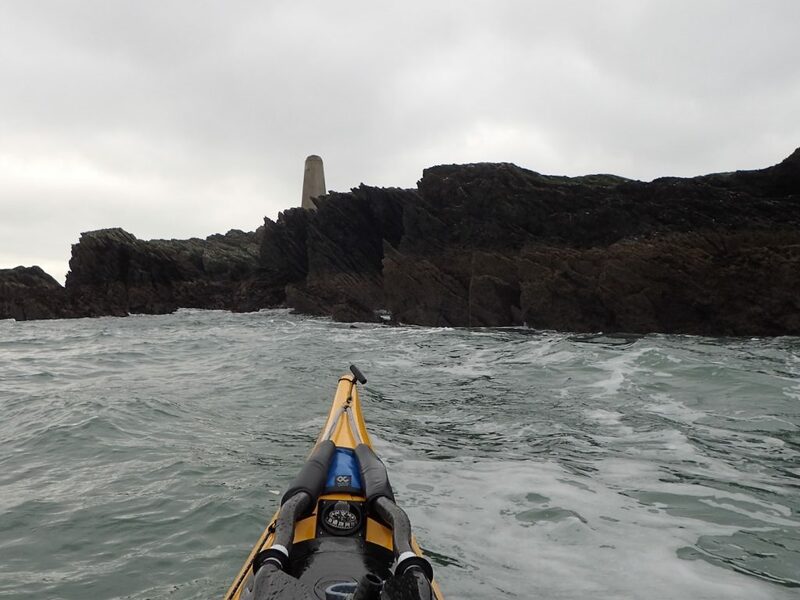 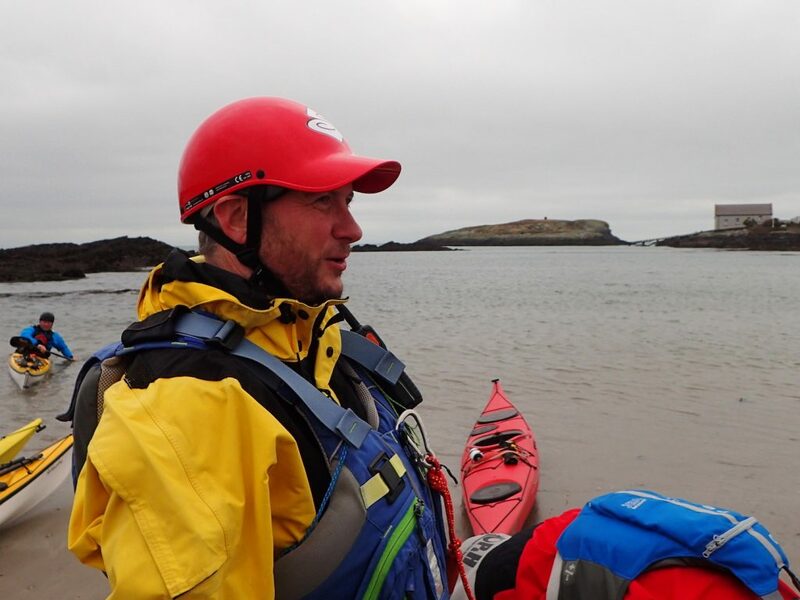 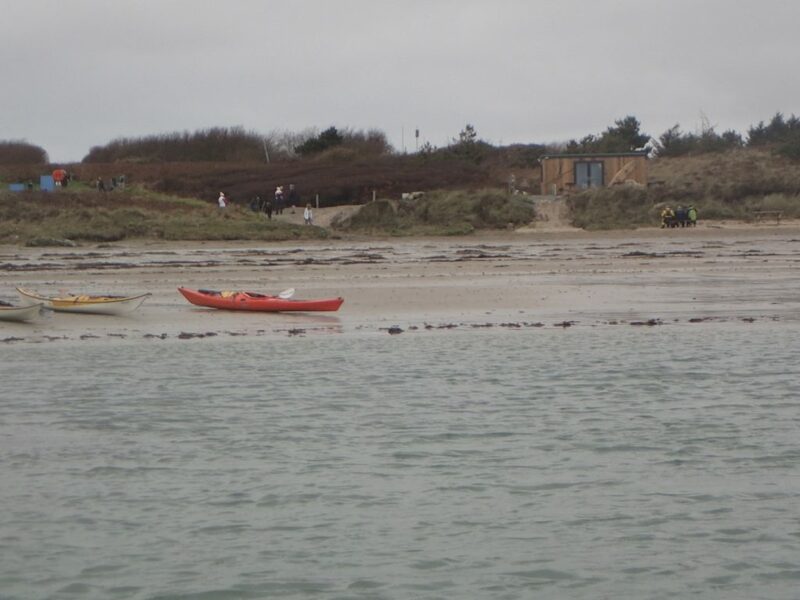 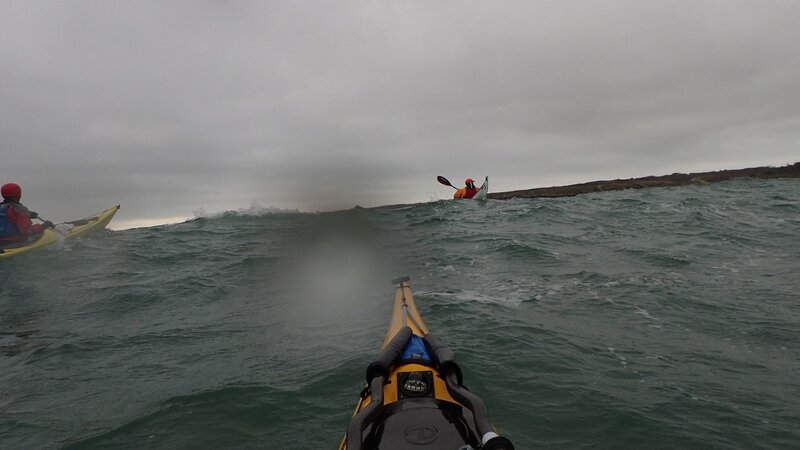 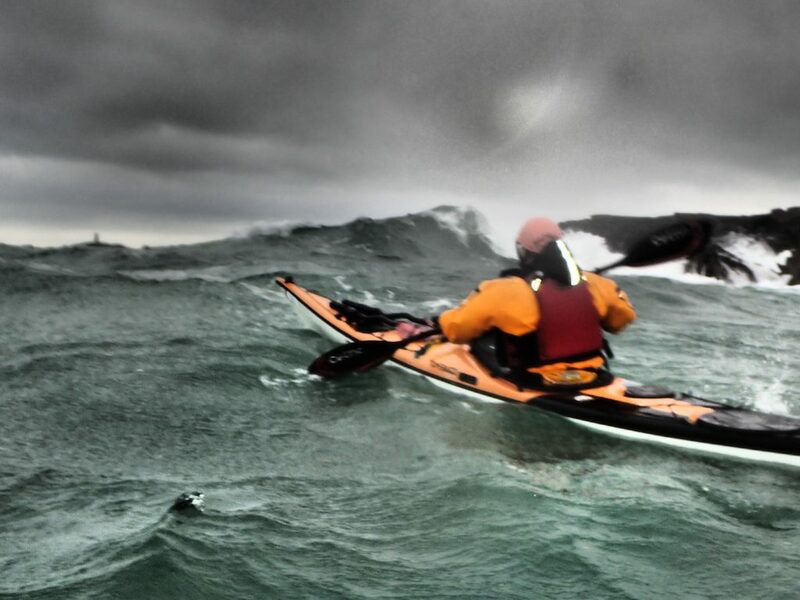 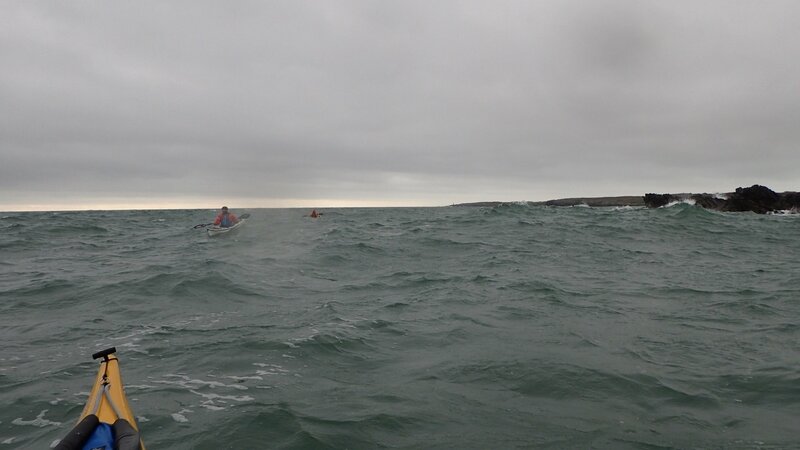 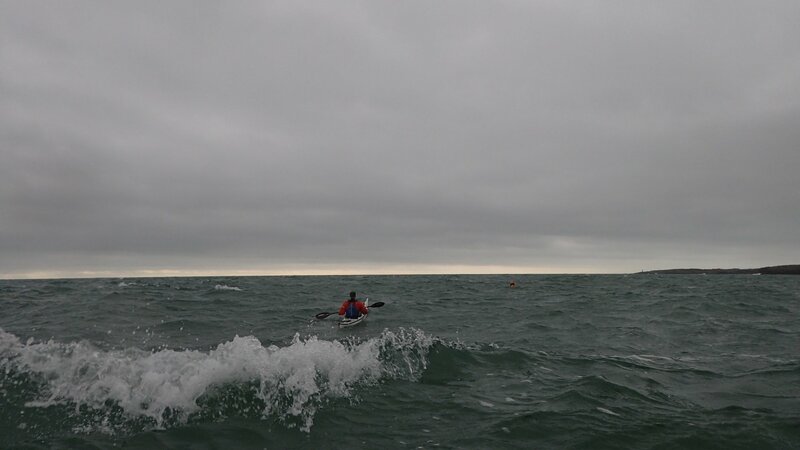 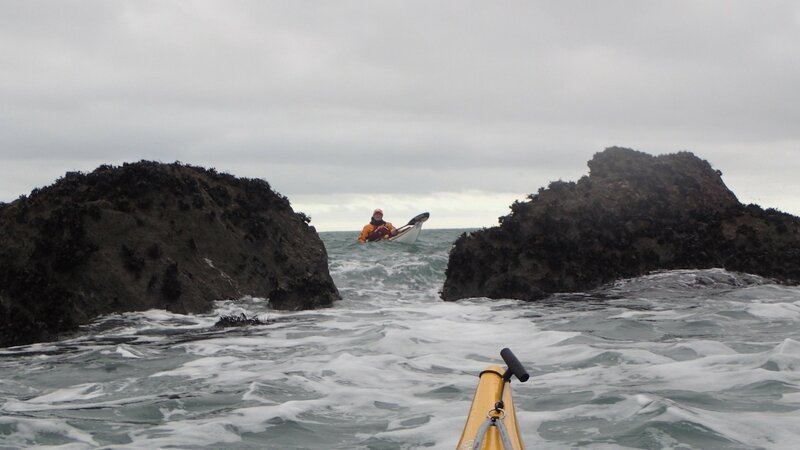 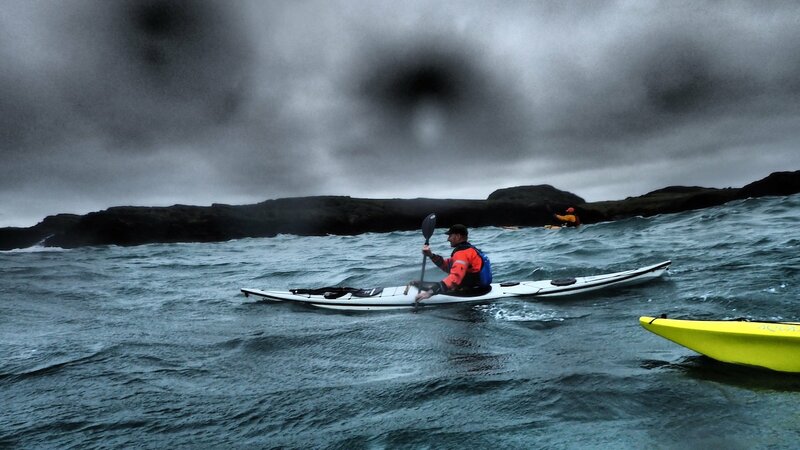 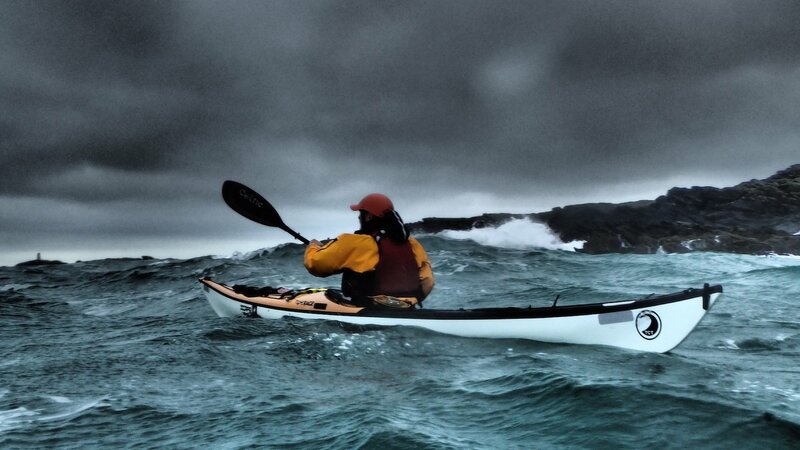 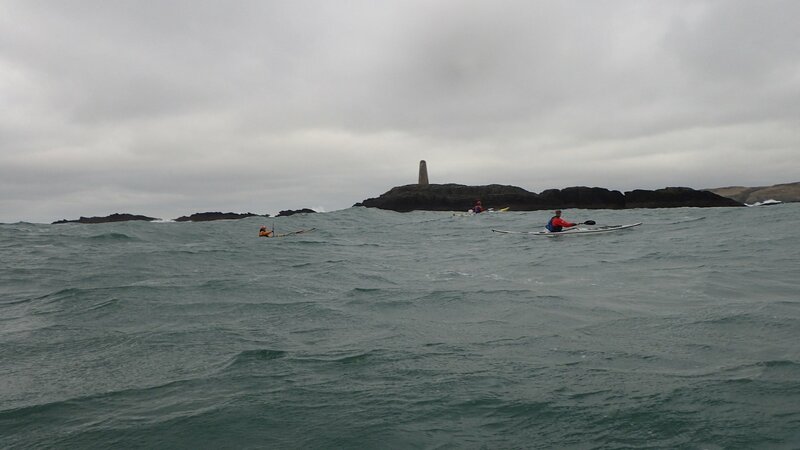 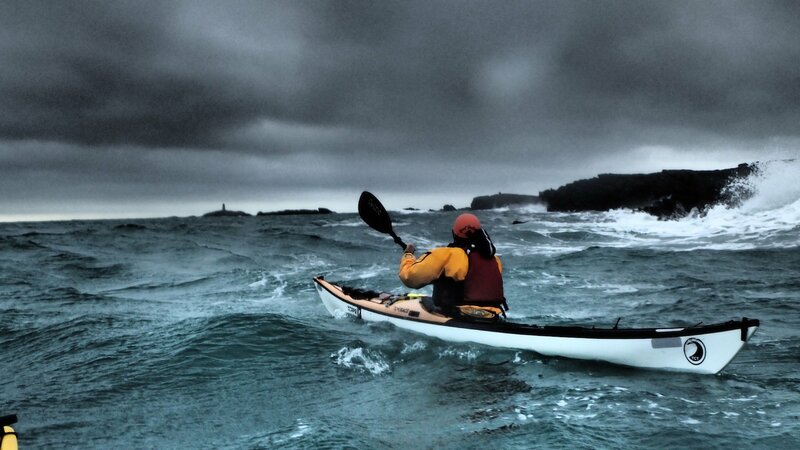 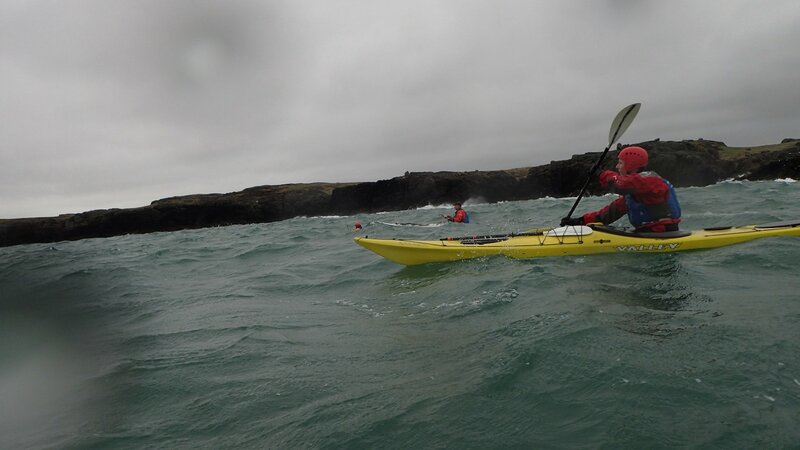 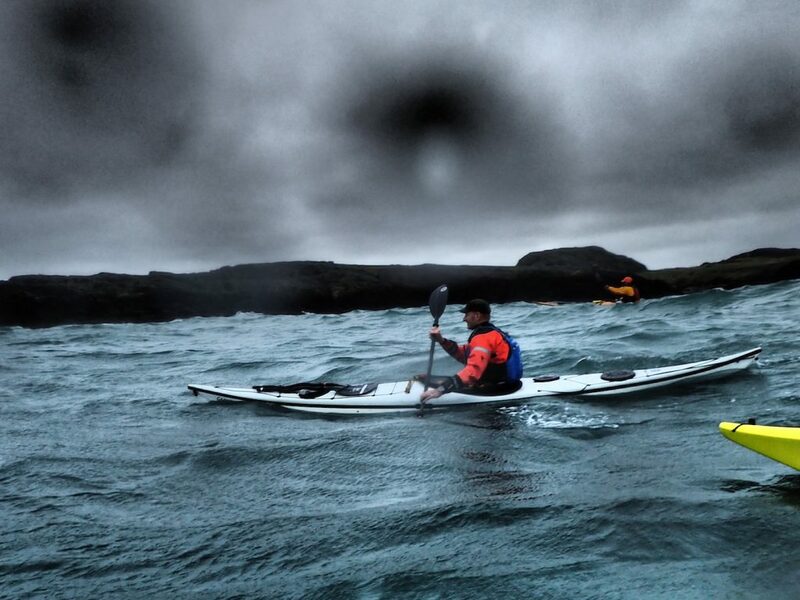 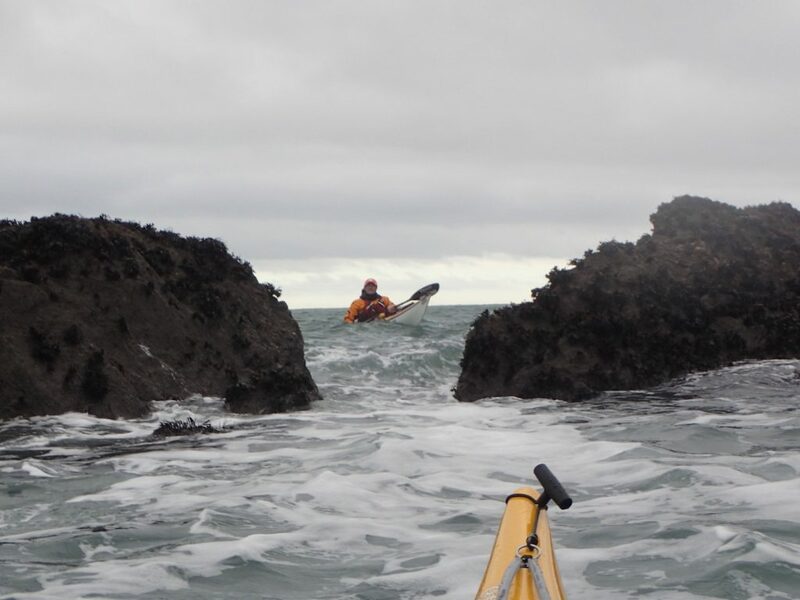 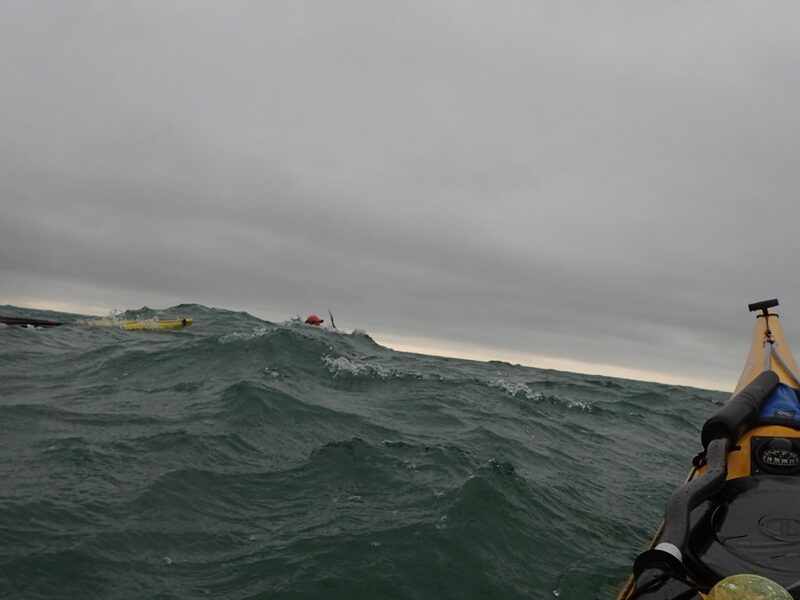 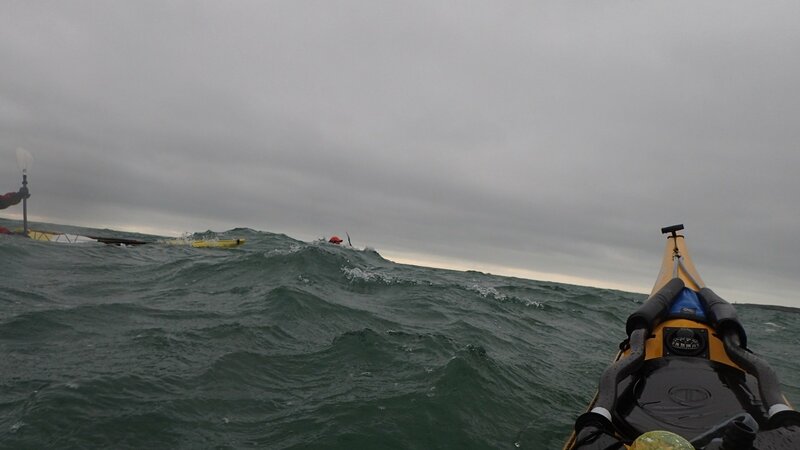 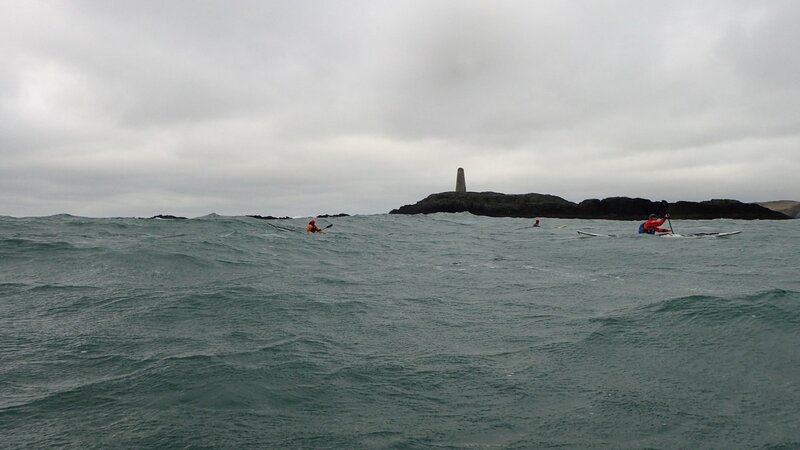 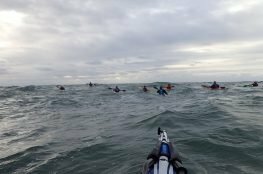 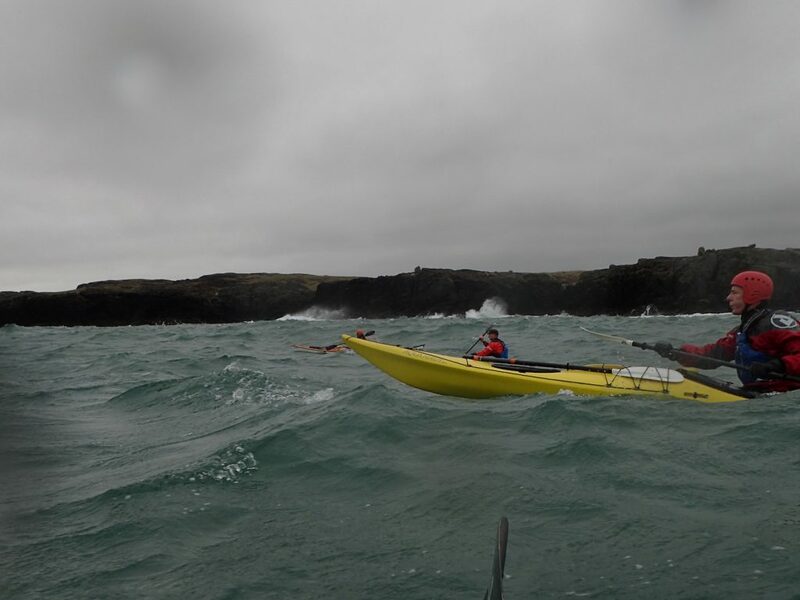 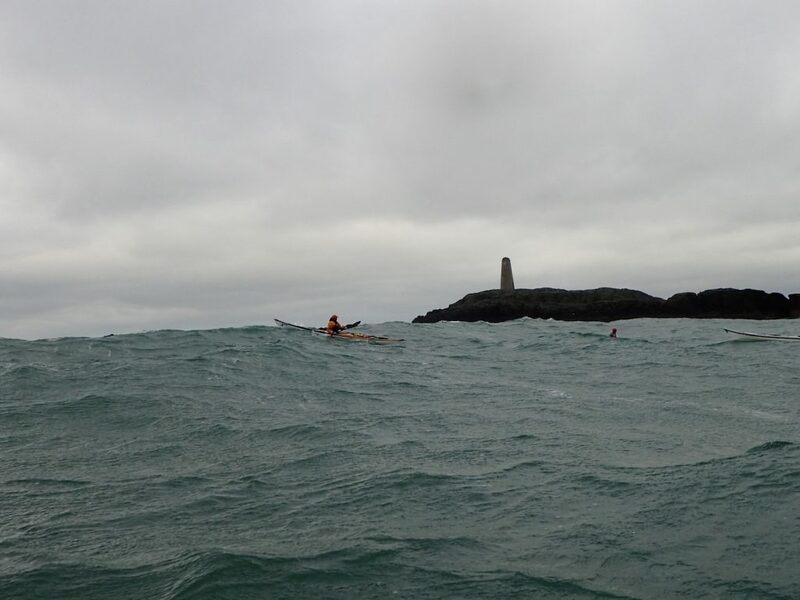 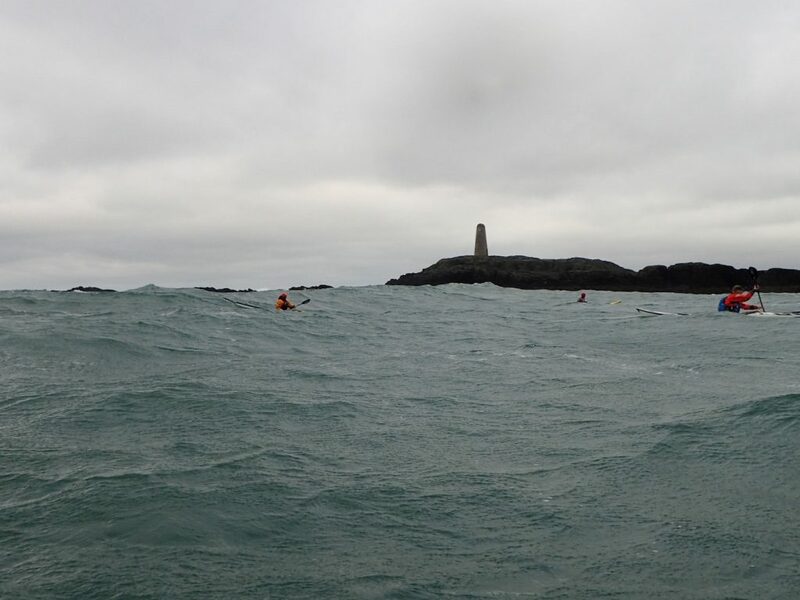 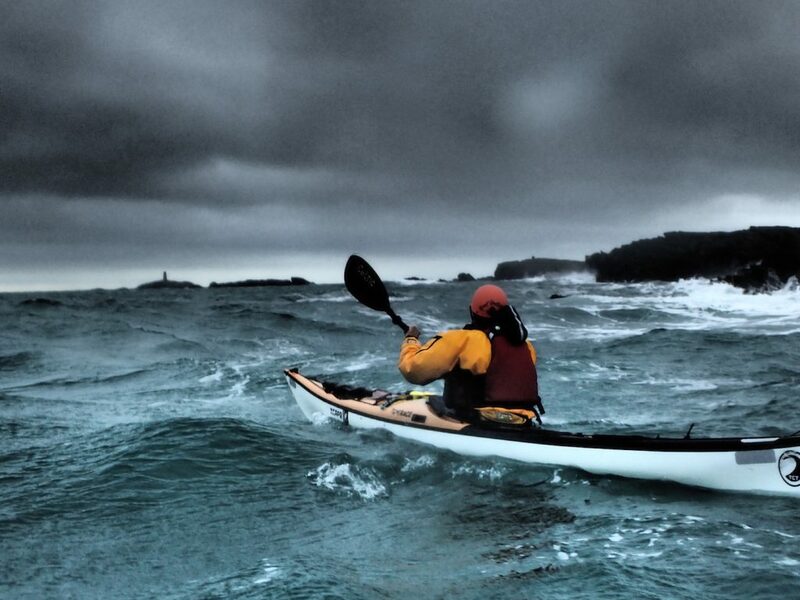 We paddled out to the beacon into the wind, but with the strong wind you could see the tide race was very large. 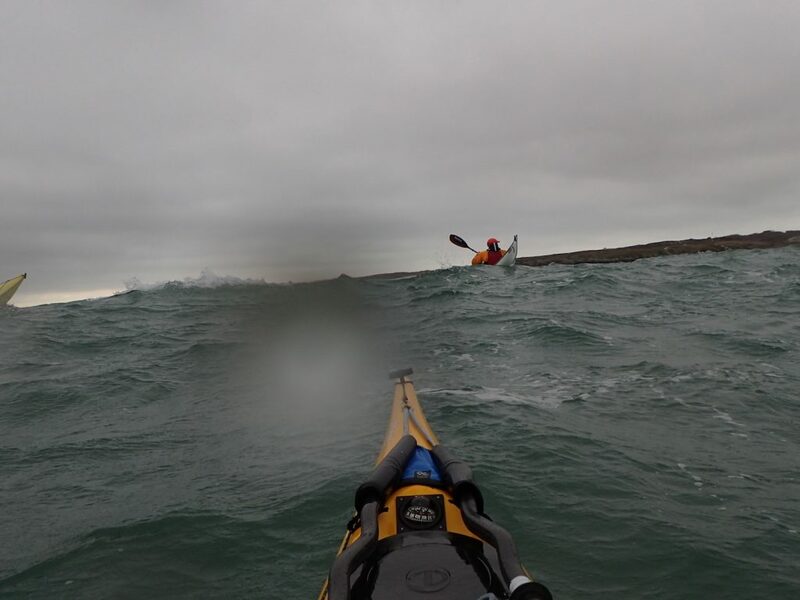 Indeed, looking behind the island the waves were very big. 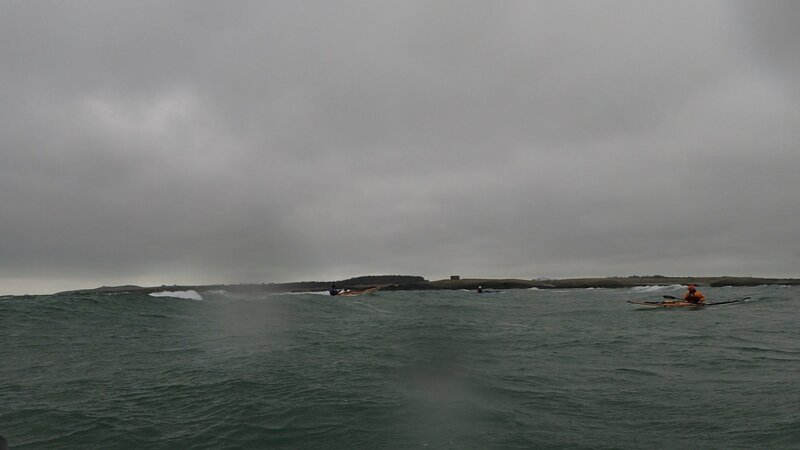 We stuck our noses into the race and decided to head down to the airfield. 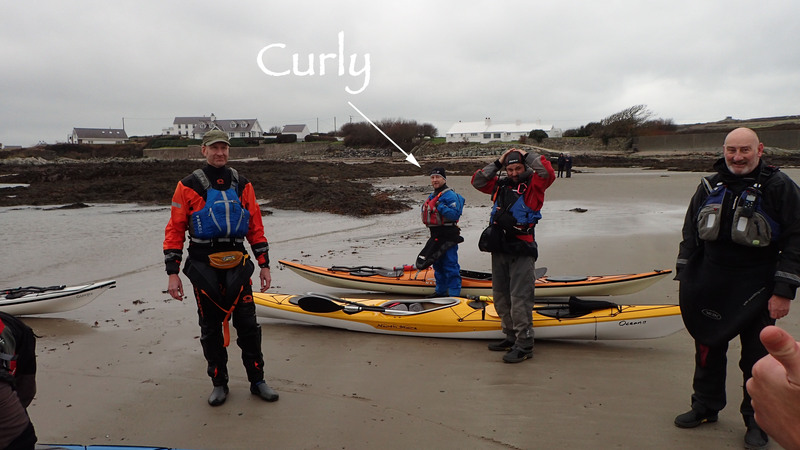 Curly’s group had already gone there ahead of us. 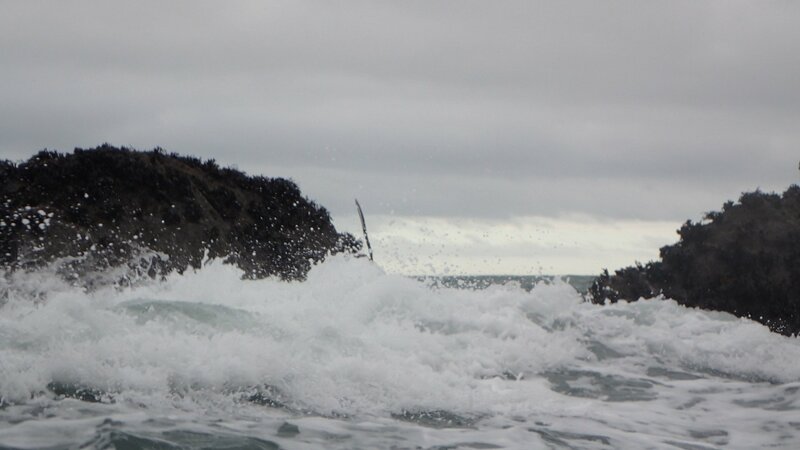 Down at the airfield, near Cymyran Straits the surf was excellent. 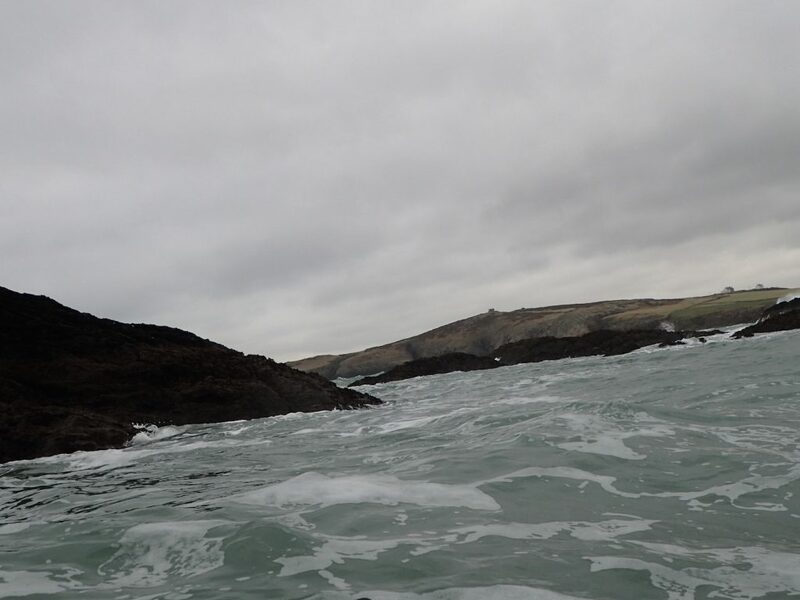 So we spent lots of time surfing in and battling our way out. 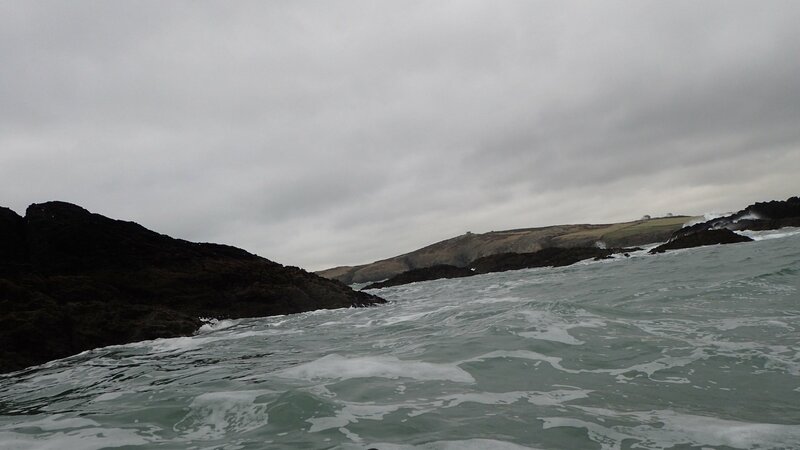 There were a few swims! 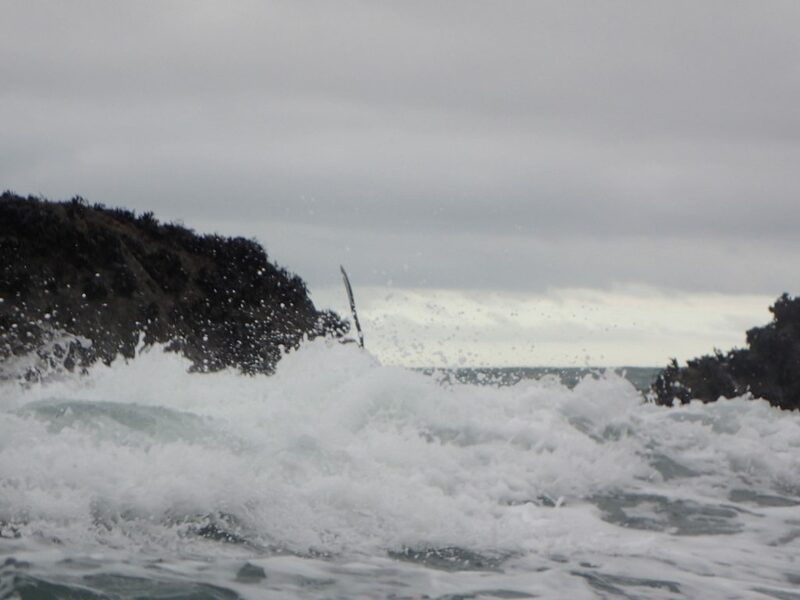 (not mention any names). 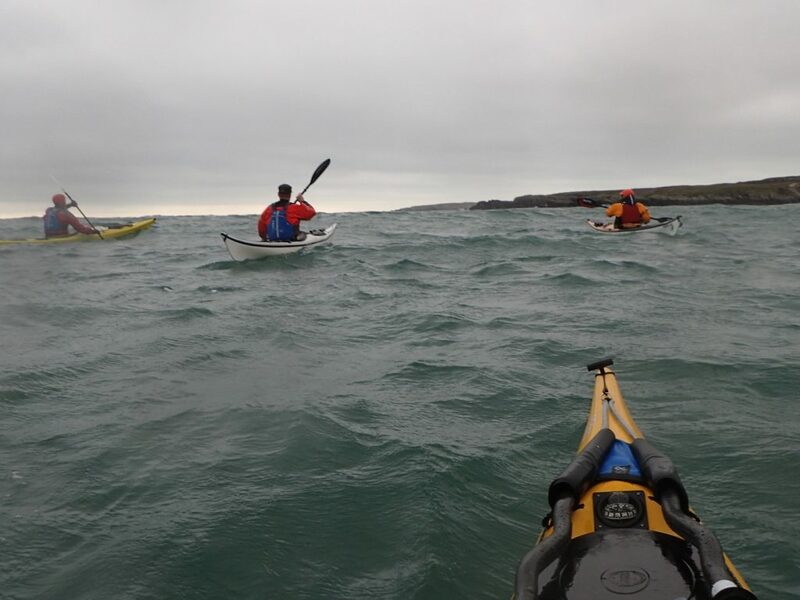 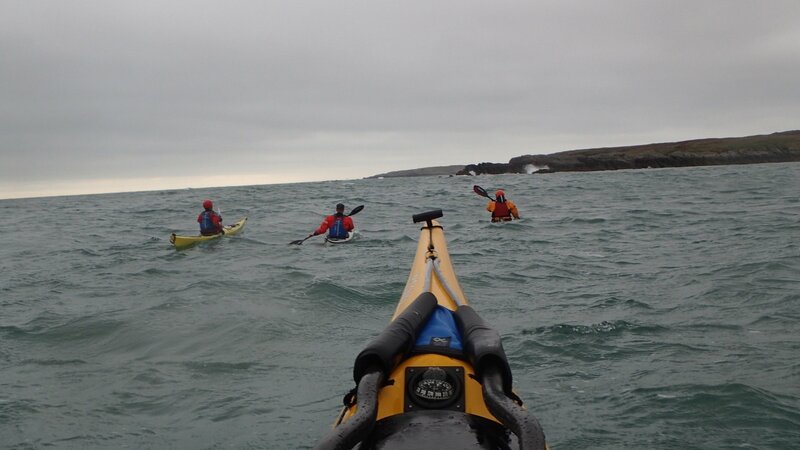 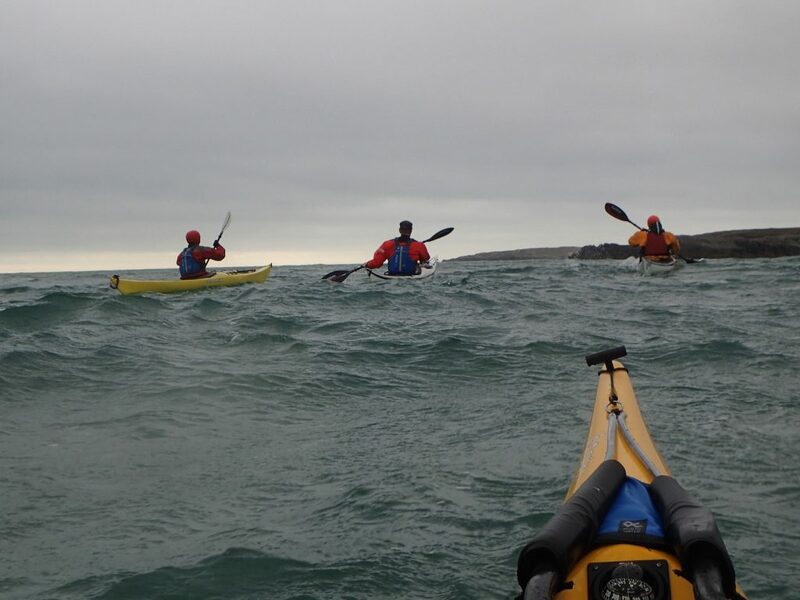 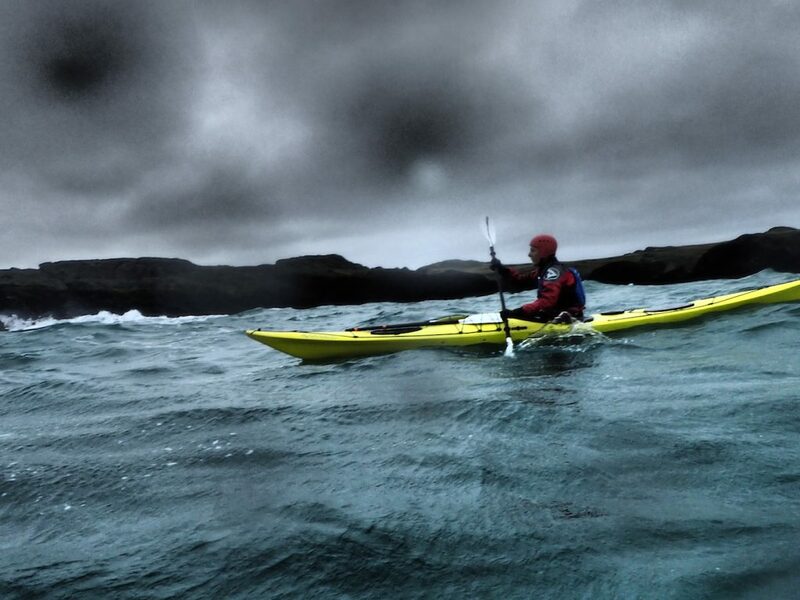 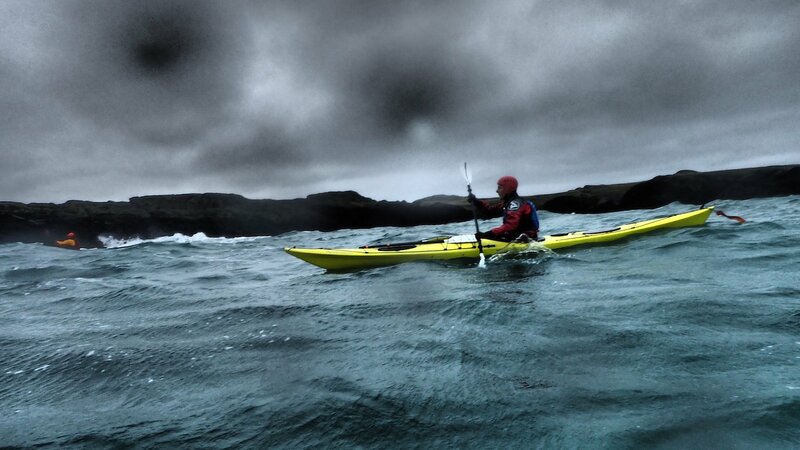 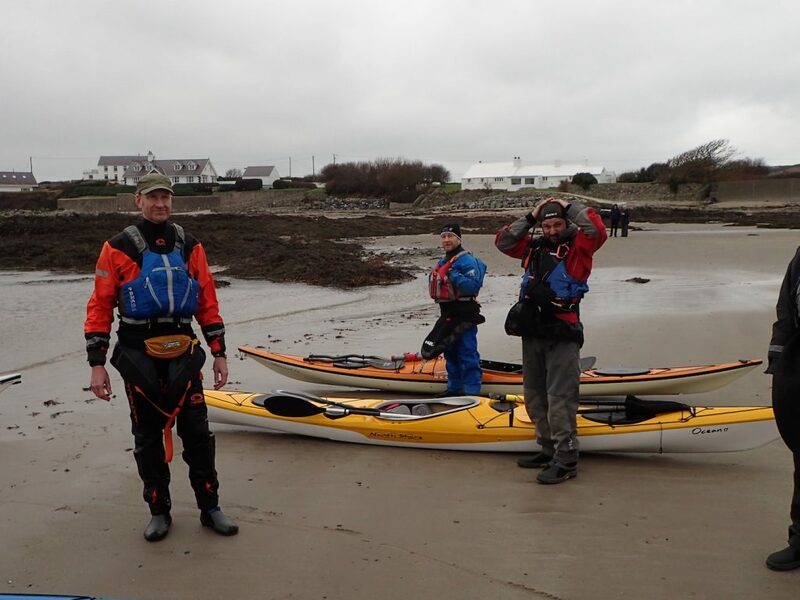 In the end when we were all getting a little tired we set back off to Rhoscolyn into the wind. 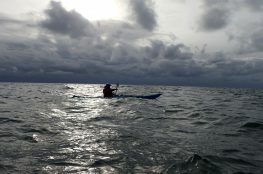 It was hard going.